Gene therapy clinical trials in muscular dystrophy have commenced using intramuscular administration and have recently advanced to systemic administration of vector. 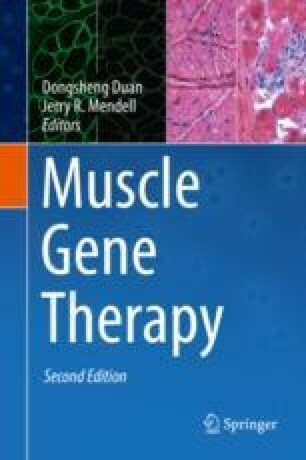 This chapter will evaluate some of the elements of the design of clinical trials in gene therapy for muscular dystrophy that may optimize the safety and efficacy outcomes. Subject selection must consider preexisting immunity and the therapeutic window. While a placebo-controlled design is optimal, it may not be feasible in a pediatric trial. Efficacy outcome measures include muscle histology, muscle MRI, and functional tests. Safety outcome measures have special considerations for those with muscular dystrophy. Finally, ethical considerations important in design of clinical trials of gene therapy in muscular dystrophy include the principles of therapeutic misconception and justice.